Network and referral marketing teams work and grow best when they are provided with encouragement and training. 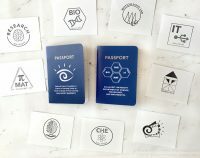 One of our clients came up with a fun way to guide new team members and encourage them right from the start – a custom-designed passport booklet. 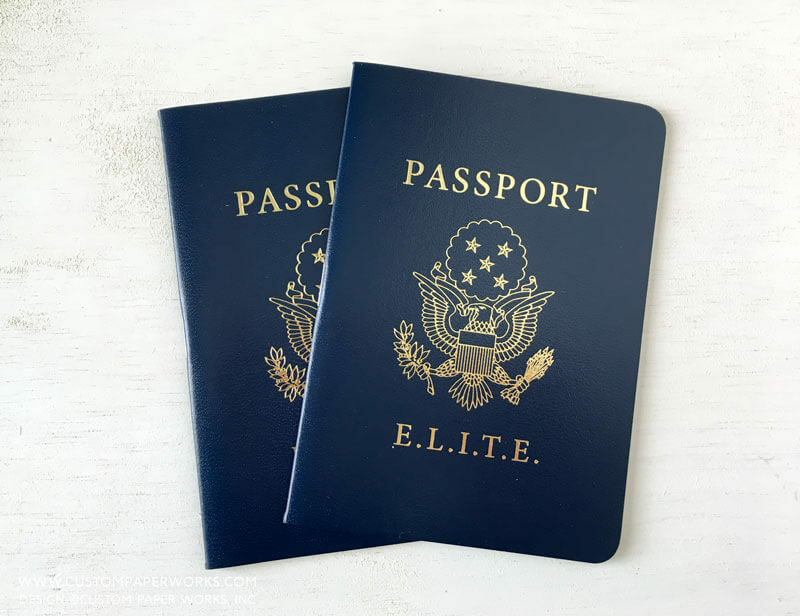 This is an example of a 16-page cusotm corporate/business passport book with textured vinyl covers with gold foil imprinting on the front cover. 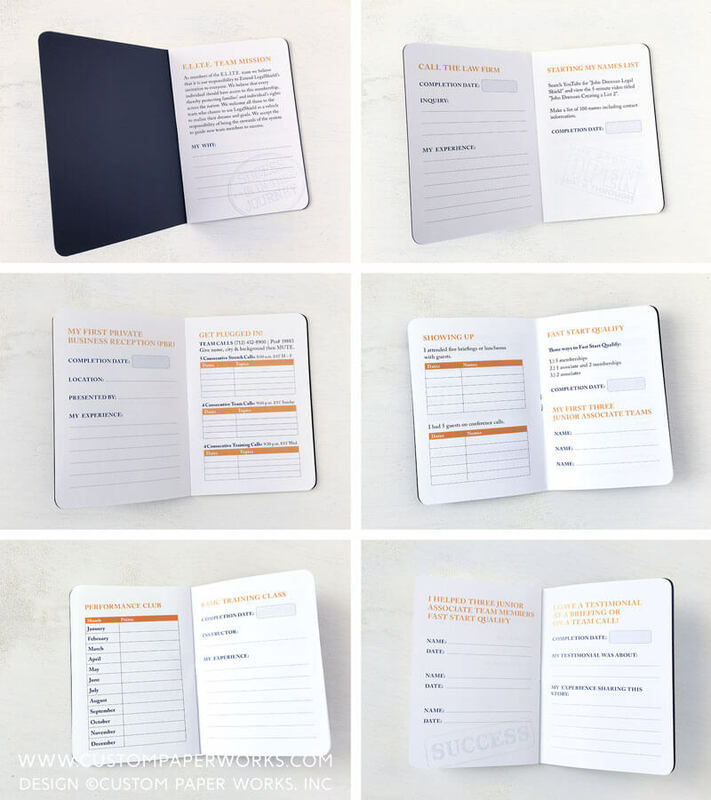 There are 12 pages of printed content inside the book featuring prompts for new team members to brainstorm and tasks to complete that will help them gain experience, set goals, and develop their own team. When the recruitment goal has been met, the passport is turned in and they are recognized and promoted within the referral marketing group. This particular design was created for a legal team and remained fairly traditional in look and function. I would LOVE to create a fun design for a skincare, make-up or other creative network marketing or multi-level marketing team. They can be bright and colorful and coordinated to match a brand, or you could create a custom look for YOUR OWN team specifically!